Born in May 4th 1932, and passed away October 8th 2016. He became Electrical Engineer of the University of Chile in 1957, and then obtained a PhD degree in Physics from the University of Manchester. He was academic of the Faculty of Physical and Mathematical Sciences. 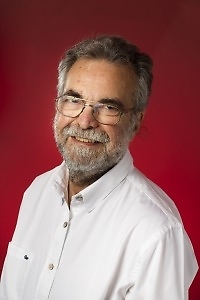 In 1999 he was distinguished as Emeritus Professor of the University of Chile. In the year 2000 he received the Gold medal of the Institute of Engineers of Chile, and in 2005 the Medal Rector Juvenal Hernández Jaque. The jury that awarded him the National Prize cited his noted work in the areas of theoretical physics and quantum mechanics. He was praised as mentor of the first generation of physicists for higher education, and as initiator of research in Physics in Chile. Bachelor in Physics from the University of Chile (1962). Doctor in mathematics and in theoretical physics of the University of Paris. 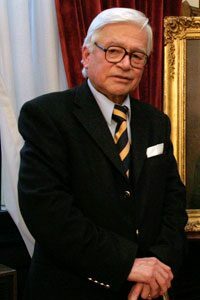 He was incorporated as Full Member of the Chilean Academy of Sciences, Institute of Chile, in 1984. He is Full Professor of the Department of Physics of the Faculty of Physical and Mathematical Sciences of the University of Chile. In 1991 he received this prize for his contributions with respect to the effects of random perturbations on microscopic systems, and to the formation of patio-temporal structures in these systems when they are far from thermodynamic equilibrium. Also, for his role in the formation of new physicists in Chile. Bachelor in Sciences, Physics from the University of Chile (1971). He is Master and PhD in Physics from Princeton University, USA. He did two postdoctoral stays, at the Institute of advanced studies of Princeton, and at the Courant Institute of Mathematical Sciences in New York. 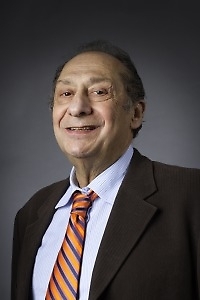 In 1978 he became full time academic of the Department of Physics of the Faculty of Physical and Mathematical Sciences, and presently he is Full Professor. In 1992 he was incorporated as full member of the Chilean Academy of Sciences of the Institute of Chile. “innovative work in his most recent research in the area of propagation of fracture, with direct applications in seismology and materials science”.